In 2013, a copy of Krasnyansky’s book, “Krasnyansky,” was presented to the Hermitage Museum in St. Petersburg, Russia. The museum’s Head Administrator, Svetlana Supurn, and Administrator, Lidia Kimissarova, accepted the book on behalf of the museum. Krasnyansky worked at the museum as a young architect. While working as an architect in the Soviet Union, he won a competition to design the Polytechnic Subway Station in Kiev and rendering the House of Books in Alexandria. 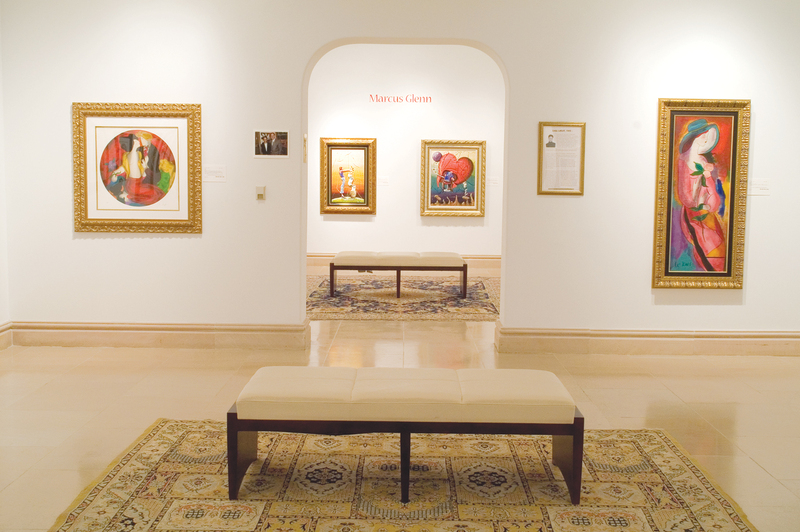 Krasnyansky exhibited in the Dalzell Hatfield Galleries in their “International Watercolor Masters” show alongside works by Marc Chagall, Camille Pissarro and Diego Rivera. As a scenic artist for ABC and CBS, Krasnyansky worked on multiple TV shows, movies and two Academy Awards shows. Krasnyansky is credited for pioneering a new watercolor technique by introducing paper texture into his creative process. The technique achieves a level of painting usually associated with oil painting. Krasnyansky has exhibited in the United States and Japan.